Elegance is exuded with this gleaming necklace. 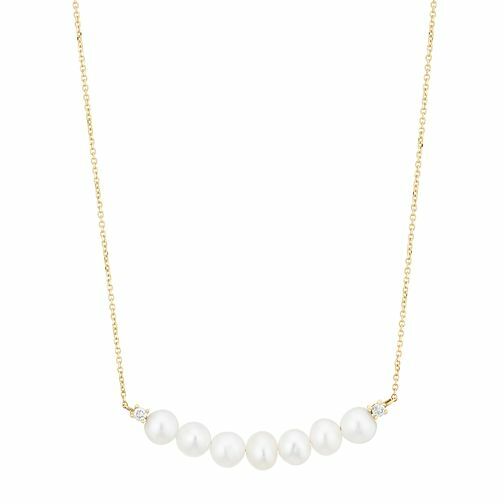 Crafted with a luxurious 9ct yellow gold fine chain, a classic display of cultured freshwater pearls are introduced between two dazzling set diamonds. Sophisticated style to complete your jewellery collection.